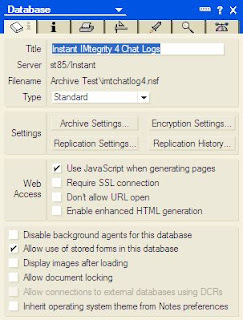 Issue: You would like to either reduce the size of your production Imtegrity database or ‘archive’ conversations from a previous year, conversations older than a certain date, or some other criteria to a backup database. In the archive settings 'Basics' tab, select the option 'Domino Server based on' and in the field 'to the Domino Server' specify the target server on which the archive database needs to be created. Under 'Criteria' tab, new archive rules can be created, existing rules can be edited and rules can be enabled. 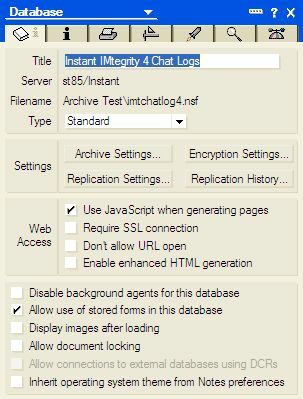 Within the same window, the filename and path of archive database can be specified. Since this is a server based archiving, a Program document needs to created to schedule the archiving task. From the IBM® Lotus® Domino® Administrator, click the Configuration tab and expand the Server section. 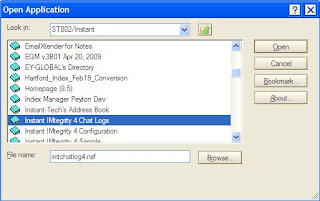 Create or edit a Program document. Type 'Compact' in the 'Program name' box. 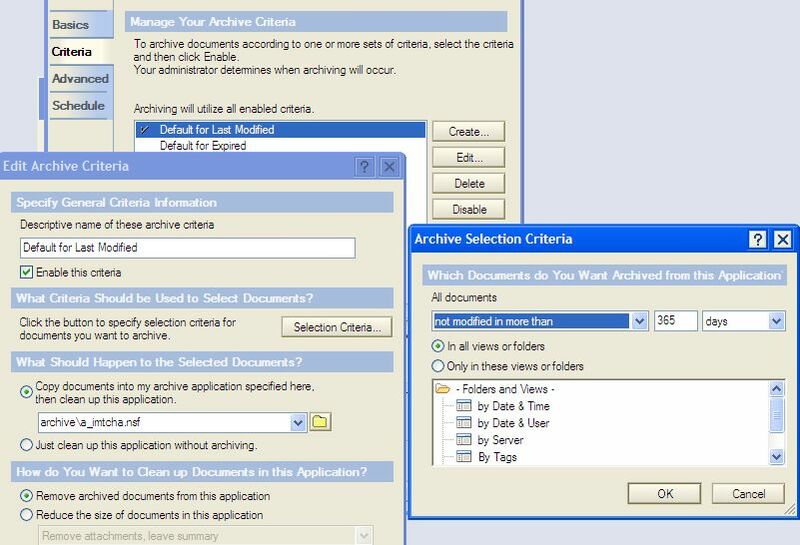 Specify option '-A' for Archiving and deleting documents from the database without compacting the database. 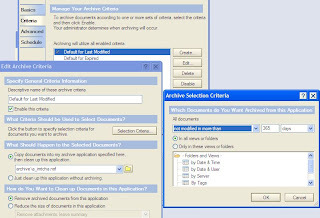 Specify option '-a' for Archiving and deleting documents from the database and then compacting the database. Type the server name in the "Server to run on" box. Select Enabled in the Enabled/disabled box. Select the time for archive task to run in the "Run at times" box. Select a repeat interval, if any, in the "Repeat interval of" box. Select the days of the week in the "Days of week" box. Save and close the Program document. To manually run the archive task use the following command line in the Domino server console.